My friends Alyx and Greg recently welcomed a beautiful baby girl, Seraphina, to the world. I made this quilt back in November, but still thought I would share. It was the first time I used voile, and although it was worth it in the end, it took forever because it was so slippery. 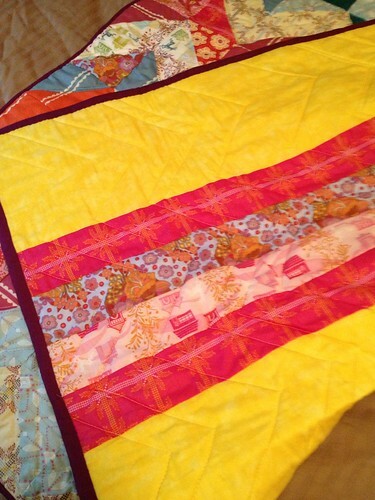 I hope Seraphina gets some good snuggles in with her new quilt. 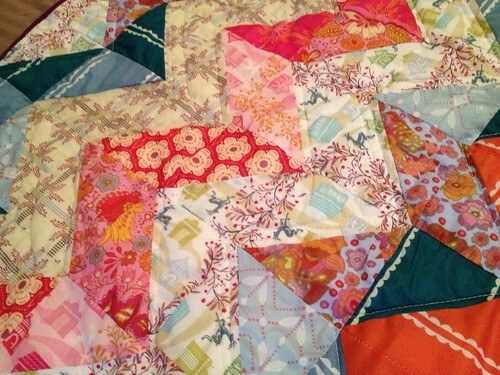 This entry was posted in Quilting and tagged Anna Maria Horner, baby quilt, Finished Quilts, voile. Bookmark the permalink. 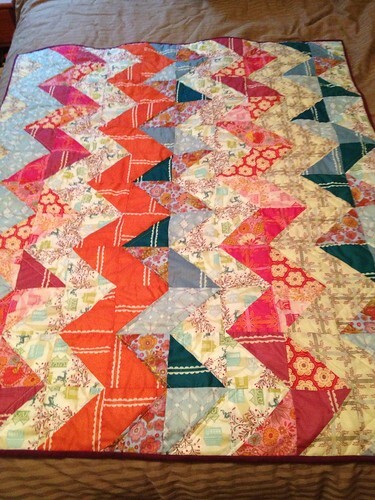 Such a cute quilt for a little girl!